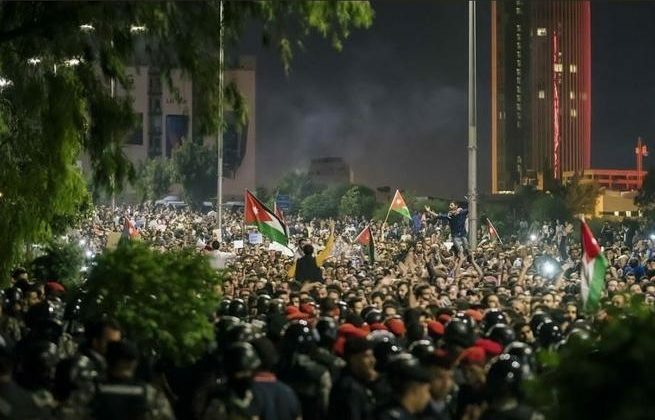 The protests in Jordan earlier this year were on the surface a general strike amongst key unions in response austerity measures and proposed new increases in taxes and basic necessities. However, there was also a very strong undercurrent of anger as there is a belief amongst the population that corruption is rife across government and Jordanians are being made to pay for it. The University of Jordan’s Centre for Strategic Studies recently published an opinion poll which found that more than one-fifth of citizens cited the “presence of corruption” as the reason they believed the country was on the wrong track. We have seen multiple calls for anti-corruption measures over recent years in response to specific cases and persons. The government has never really taken these calls seriously with most official responses treating it as a perception issue rather than a reality, thereby justifying no action being taken. Psychologically, the dismissals have only solidified the issue in the minds of Jordanians and served to confirm their suspicions. The art of successful government requires delicate management of issues like corruption. Firstly, it is imperative to deal with perceived corruption with high transparency, otherwise the population with assume nothing is being done, or even worse that the corruption is being hidden and protected. In the broader context of present-day Jordan, a strong anti-corruption campaign could be a brilliant opportunity for the government to restore its credibility in the mind of its citizens and work to bridge the expanding gap between the people and the government. In the last week we have seen the efforts of the Jordanian GID lead to the arrest of the main suspect over the alleged fraud over fake cigarettes avoiding over $200 million in taxes. While clearly a good step forward in fighting corruption, it needs to be the first in a string of further high-profile arrests for corrupt activity with high levels of transparency in the process in order to convince the public that corruption is being systematically addressed. A comprehensive anti-corruption process looks very different to a superficial sacrifice of a single fraudulent businessman for the cameras. If his escape was due to simple maladministration and incompetence, those people involved should be held responsible. In order for people’s concerns to be allayed, wholesale change is needed where criminals are held responsible for their legal responsibilities and officials are held responsible for their competent delivery of their duties to the state such that corruption is weeded out and mistakes are minimized. In order for the government to build credibility in this space, the anti-corruption measures must be transparent and open for the public to see. There is a real opportunity for historical change that the public is eager for and could turn the government’s fortunes around by building trust. This kind of opportunity is rare, and should be embraced by dealing harshly with corruption and incompetence in government, however, previous mistakes much be avoided in order to be successful.